The game features a tropical theme painted backdrop, a cd full of "Limbo" music, and an authentic bamboo pole with adjustable settings. Whether it's a wedding reception, an office party, or a neighborhood block party, the LIMBO game will liven up any event you've got going. 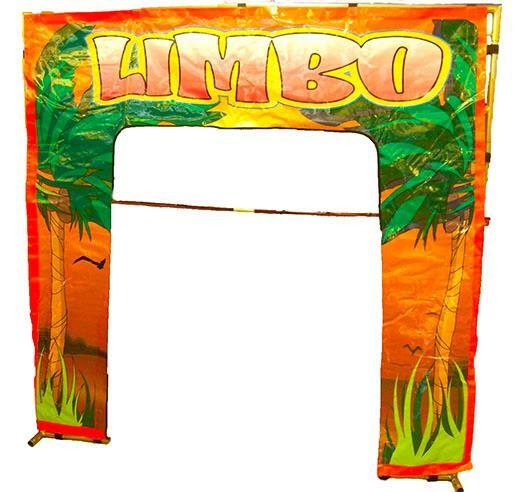 * Please call us for any questions on our game limbo rentals in Cleveland, Chardon OH, Mentor OH, Chagrin Falls OH, Ashtabula Ohio and surrounding communities.